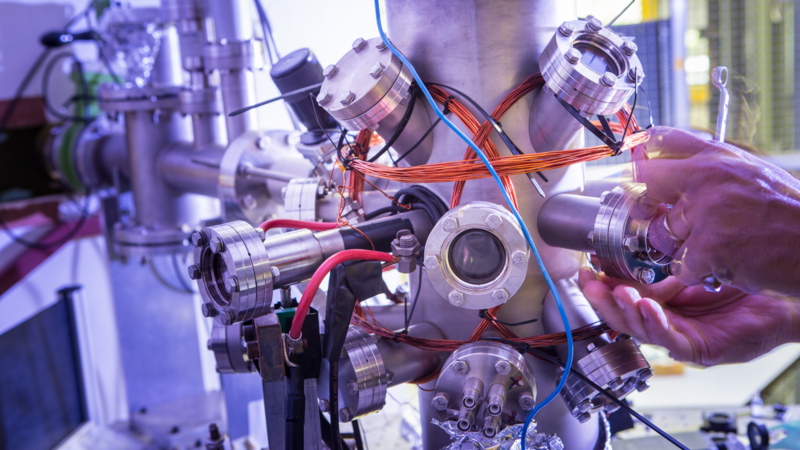 Laser-produced Sn plasma sources are used to generate extreme ultraviolet (EUV) light in state-of-the-art nanolithography. An ultraviolet and optical spectrum is measured from a droplet-based laser-produced Sn plasma, with a spectrograph covering the range 200 – 800 nm. This spectrum contains hundreds of spectral lines from lowly charged tin ions Sn – Sn of which a major fraction was hitherto unidentified. We present and identify a selected class of lines belonging to the quasi-one-electron, Ag-like ( electronic configuration), Sn ion, linking the optical lines to a specific charge state by means of a masking technique. These line identifications are made with iterative guidance from codecalculations. Of the 53 lines attributed to Sn, some 20 were identified from previously known energy levels, and 33 lines are used to determine previously unknown level energies of 13 electronic configurations, i.e., 7p, (7,8)d, (5,6)f, (6−8)g, (6−8)h, (7,8)i. The consistency of the level energy determination is verified by the quantum-defect scaling procedure. The ionization limit of Sn is confirmed and refined to 328,908.4,~with an uncertainty of 2.1,. The relativistic Fock space coupled cluster (FSCC) calculation of the measured level energies are generally in good agreement with experiment, but fail to reproduce the anomalous behavior of the and terms. By combining the strengths of FSCC, ~code calculations, and configuration interaction many-body perturbation theory (CI+MBPT), this behavior is shown to arise from interactions with doubly-excited configurations.